Unless you’re a skilled professional, DIY tree trimming can be difficult, not to mention dangerous. You have to know the best time to trim your trees, as the right period varies depending on the type of tree you have. Knowing the right techniques when it comes to cutting down branches is also crucial. Cutting too short may prove useless, but cutting too much might allow diseases to enter the tree’s system. Having the right tools also is important, but not as much as knowing how to use them. Climbing up a tree with equipment in hand is definitely a no-no, and ladders are never advisable to use. Forget about trimming your tree without the necessary protection equipment. Falling branches, flying splinters and other unexpected debris may hurt you. Some equipment can have dangerous consequences if you’re not sure how to handle it. Chainsaws, for example, cause kickbacks if used improperly. Tree cutting accidents are real and can kill you. Trees are generally regarded as an important addition to a household. Besides adding beauty to any home, they provide shade for those hot summer days, and add a sense of privacy and value to the property. With such a great asset comes proper maintenance and as odd as it sounds, “professional” tree trimming service may be what you really need. DIY tree trimming is not for most homeowners. 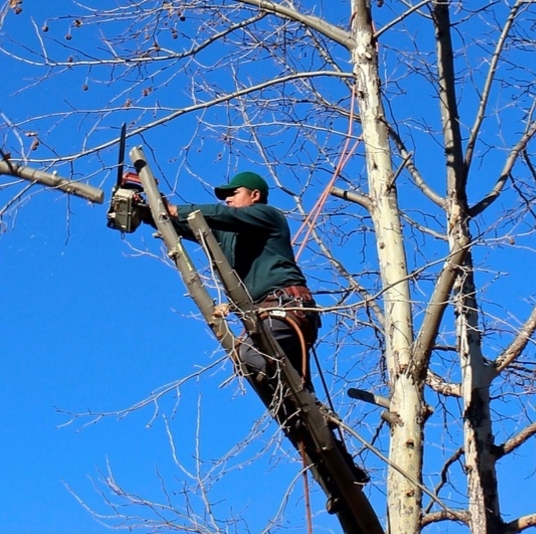 Call the professionals at Atlanta Tree Professionals. ATP brings quality tree care service to your GA home. We are your Atlanta tree removal experts serving Sandy Springs, Roswell, Marietta and north metro Atlanta. We’re also a member in good standing with the Tree Care Industry Association. Get free estimates and advice today.